The science-interested blogosphere has buzzed during the past couple of days with outpourings of rage over the decision by the SEED Media/Scienceblogs management to add to the roster a new blog on nutrition and food science sponsored by PepsiCo. The obvious irony of such an offering wasn't lost on anyone, but here's how deep it runs: I was going to joke, "Coming soon: a heart health blog from Taco Bell," but then I learned that Taco Bell's owner, Yum! Foods, is actually a spinoff from PepsiCo. Food Frontiers isn't Sb's first dance with corporate-sponsored blogs—for example, its Collective Imagination blog was backed by G.E. 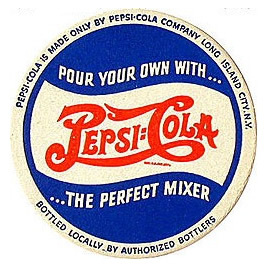 What is raising hackles about this one, however, is that the blog's content will be written entirely by PepsiCo's own scientists or others invited by the company or Sb. That authorship issue turns the blog into a public-relations instrument rather than an independent journalistic one, at least in the eyes of many of Sb's other bloggers, who argue that it impeaches the editorial integrity of the rest of Sb's blog network. As a result, several respected Sb contributors—Brian Switek (Laelaps), David Dobbs (Neuron Culture), Scicurious (Neurotopia), Rebecca Skloot (Culture Dish) and more—have stopped blogging there, either permanently or temporarily. Alok Jha of the Guardian has summarized the state of the fiasco to date. Sb's editors comment on the controversy here, and the Guardian has published a too-late-and-supposedly-confidential letter that SEED editor-in-chief Adam Bly has sent to its blogger community about it. As someone who spent almost 15 years as the editor in chief of science magazine where these kinds of conflicts between editorial and advertising always threatened to rear their head, I'm not unsympathetic to the bind that Sb found itself in. The pressure can be tremendous every day to find new sources of revenue as traditional formulas fail. Advertorials, special sections and custom-published issues are all examples of solutions that publishers have found for helping advertisers spread their messages outside of obvious ads without breaching the so-called "Chinese wall" that is supposed to keep the editorial and advertising apart. In digital media, there can be particular avidity to innovate in ways that blur, if not violate, the traditional distinctions between independent editorial and advertising, if only because hyperlinks and other features of the web can so effortlessly pop users between pieces of content. Potential ad clients make demands that push ever harder at the envelope, and editors these days therefore must frequently judge whether some new idea is ethically acceptable. Unfortunately, in this case, Sb chose poorly, and the uprising among its bloggers is the result. I don't question the motives of the editors in introducing Food Frontiers, nor even the motives of PepsiCo and the scientists it enlists to write it. The kinds of information and insights that workers in that field could offer might be welcomely informative. But none of that is the problem, which is why the seemingly reasonable wait-and-see responses by some Sb bloggers miss the point. Sb's error becomes obvious if one looks at the rules that print editors would apply to the analogous situation. Two cornerstone principles should rule in all matters of editorial/advertising integrity. First, if a publication is genuinely journalistic, readers should never have cause for doubt that the editors have set some interest above honestly and truthfully informing them. Therefore, second, readers should always be able to distinguish immediately between editorial messages and those sponsored by advertisers. So when advertiser-sponsored content makes its way into a publication, it should be marked "advertorial." It shouldn't be indexed as part of the table of contents. It shouldn't be written by editorial staff writers or illustrated by staff illustrators. And—of particular relevance in the Sb case—it should not ape the design of the editorial content. The American Society of Magazine Editors maintains a set of guidelines to help editors (and publishers) stay in the best ethical graces of the profession. Not that editors and publishers don't in fact try to bend those rules, or outright ignore them. (Forbes magazine, for example, rather famously refuses to be bound by ASME's guidelines.) Nor is it always easy to determine whether a particular sponsorship opportunity crosses the line. The guidelines don't end discussion; but they are a place to start it. In this case, with whatever innocent intentions, Sb violated the spirit or letter of too many of those guidelines. Then it compounded the problem by managing the inevitable controversy badly, not letting its stable of bloggers know who their new neighbor would be in advance. Sb's protestations that it wants to fix the presentation and context of Food Frontiers to general satisfaction are sincere, I think, but it's face-palmingly obvious in retrospect that some of those adjustments could have been foreseen before the blog's launch if the Sb blogger community had known more of what was to come. I wish them luck with it now, and hope the Sb blog network survives without too much attrition. But no one elsewhere in the media landscape should feel too self-righteous about this situation. Without simple, reliable ways of drawing revenue, commercial journalistic organizations of all stripes will be faced with tough choices, and many more editors will lose sleep over whether they made the wrong compromises for the right reasons. The Chinese wall can fall on anyone. So... Benjamin Santer was asking for it?